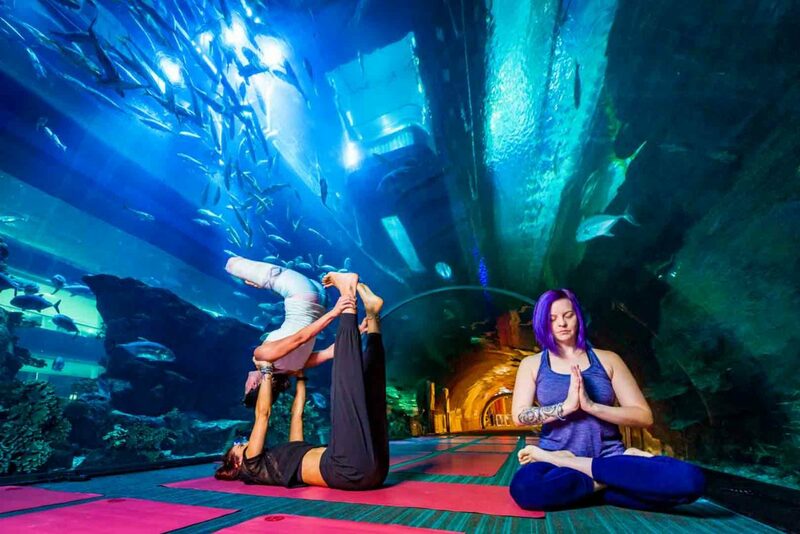 An unprecedented experience that integrates mind-body-soul harmony with the exhilarating delights of the marine world comes alive every Saturday in September, from 8.00am to 9.00am at Emaar Entertainment’s Dubai Aquarium and Underwater Zoo in The Dubai Mall. 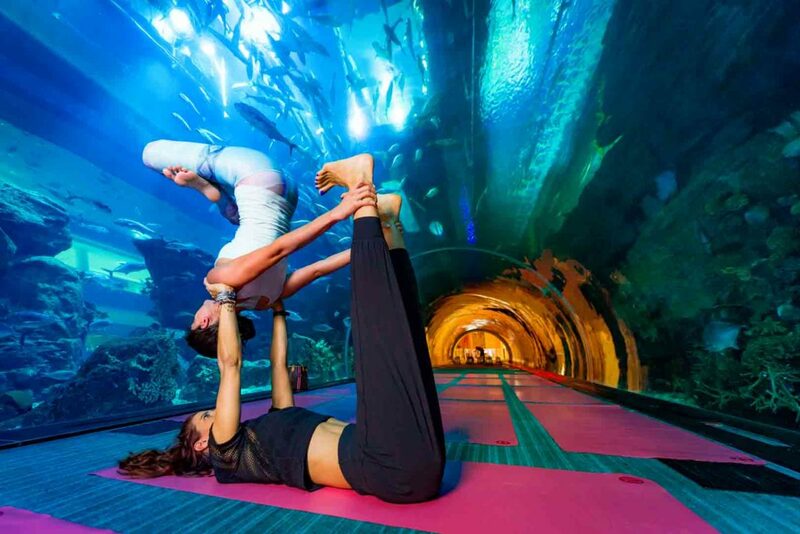 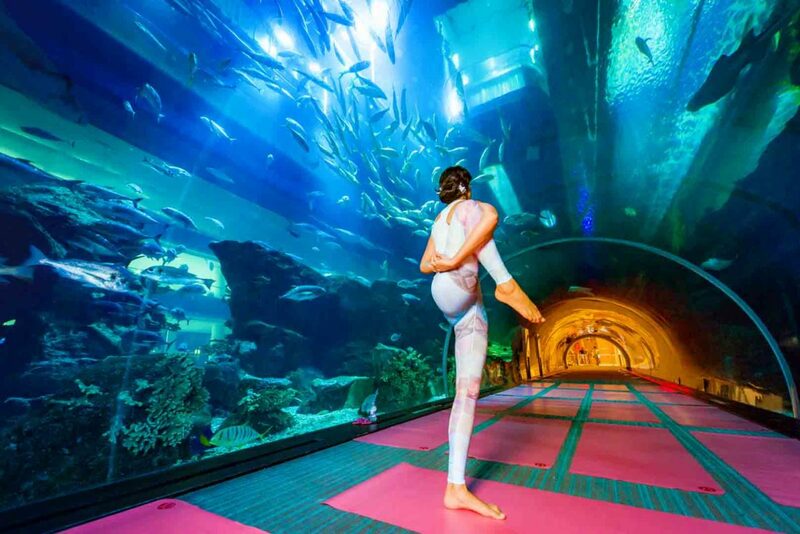 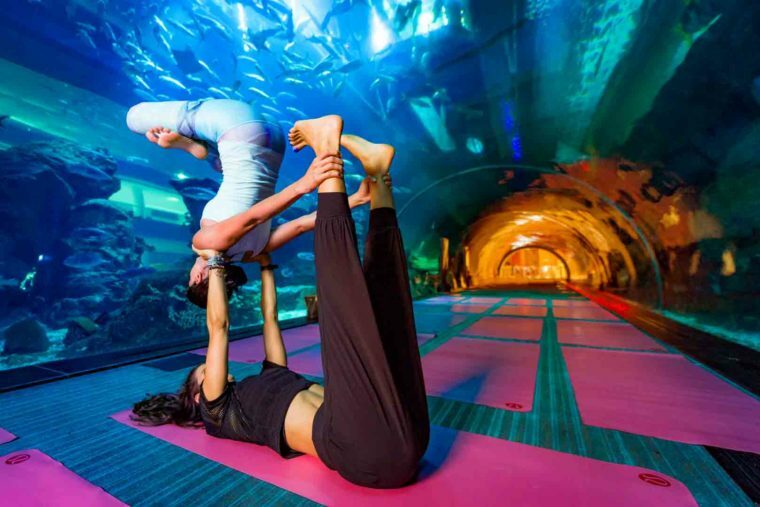 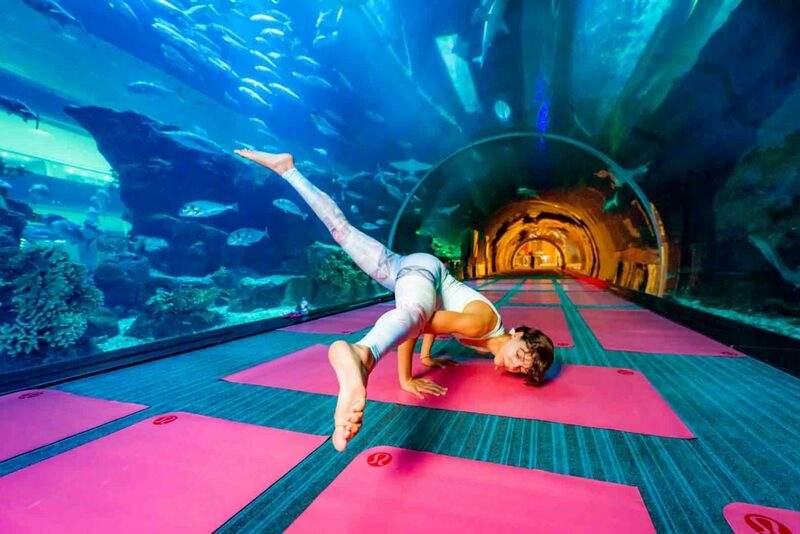 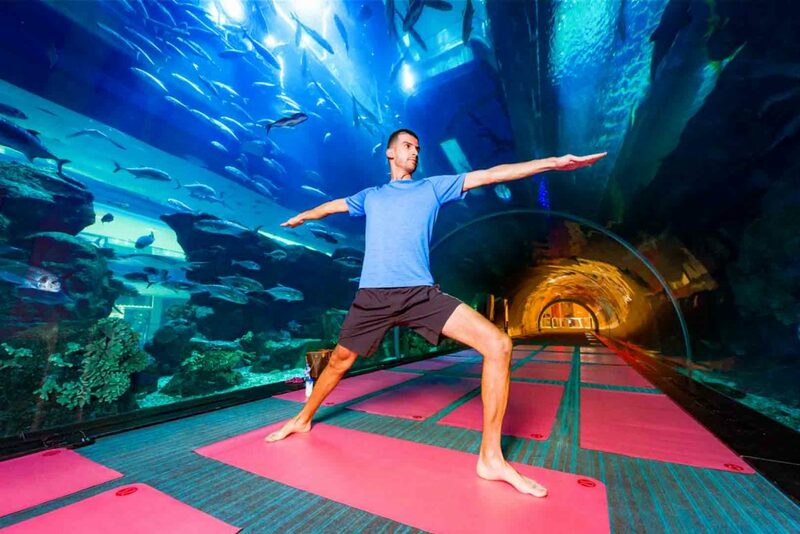 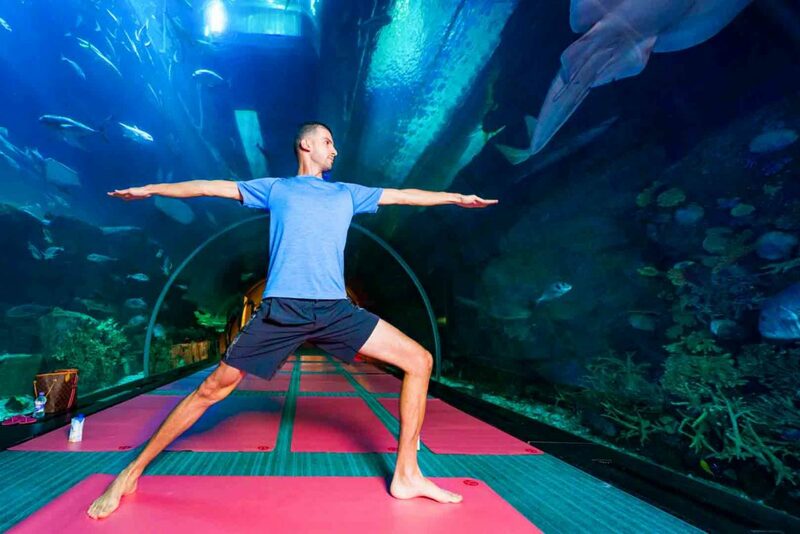 Hosting the first ‘Underwater Yoga’ Retreat, in The Tunnel, which offers close encounters with the exotic and diverse aquatic species in Dubai Aquarium, will witness the coming together of yoga enthusiasts and experts for a one-hour long yoga session. 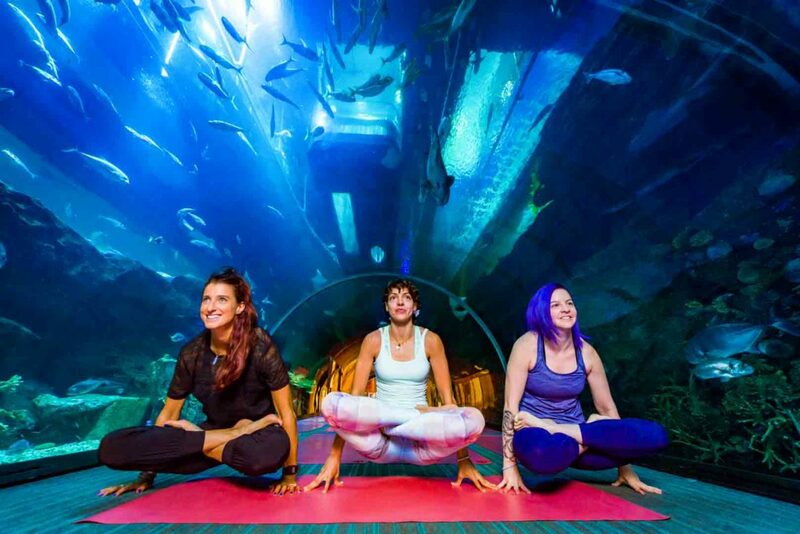 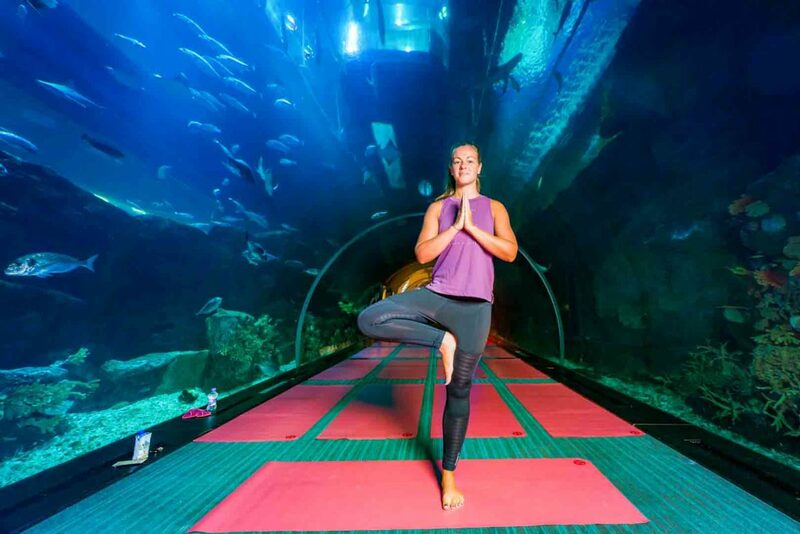 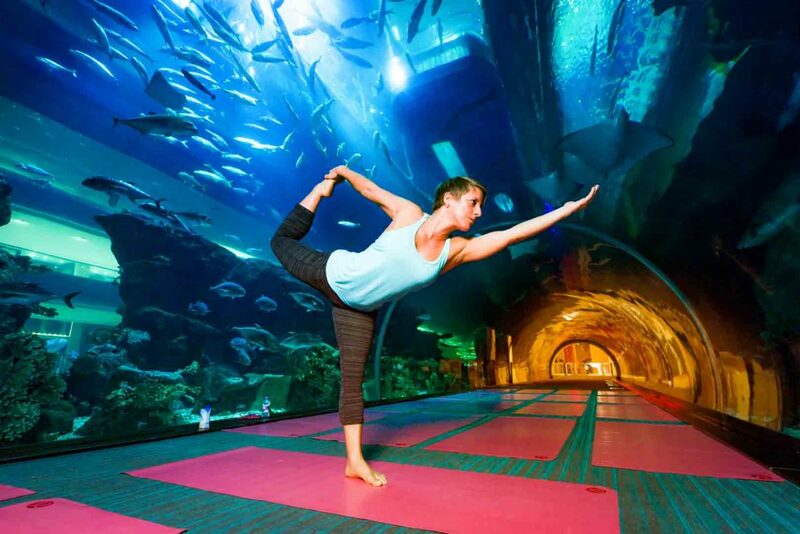 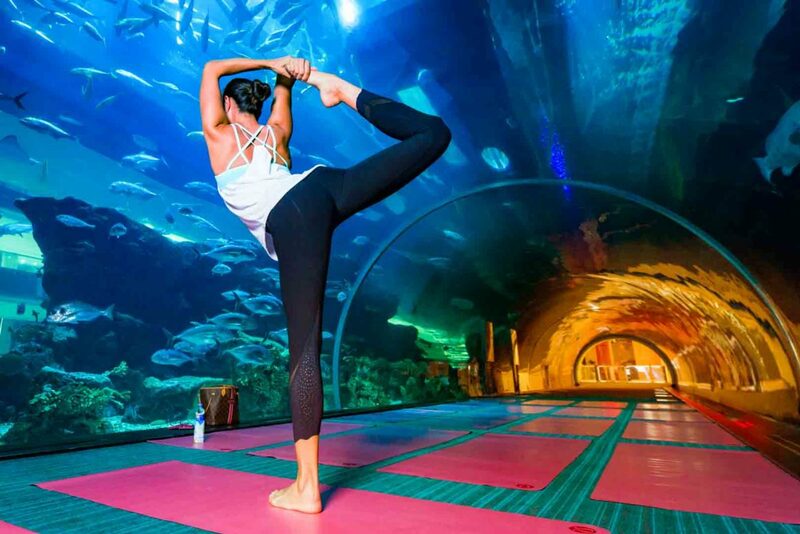 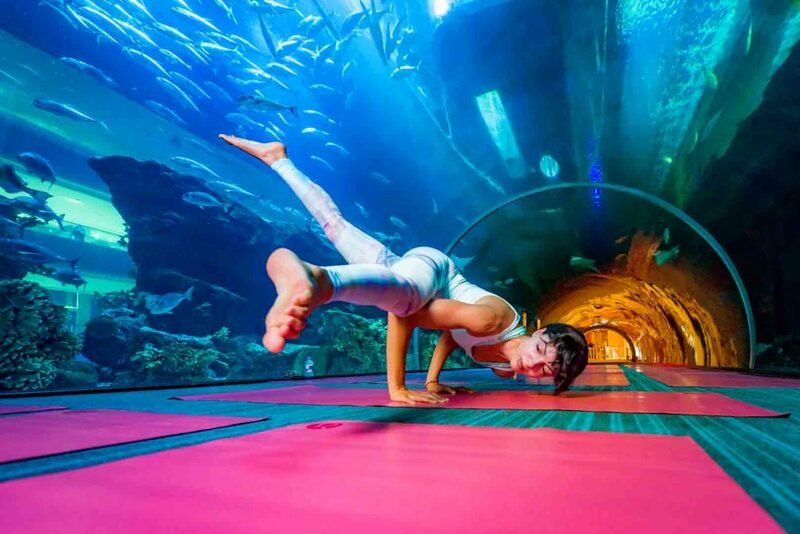 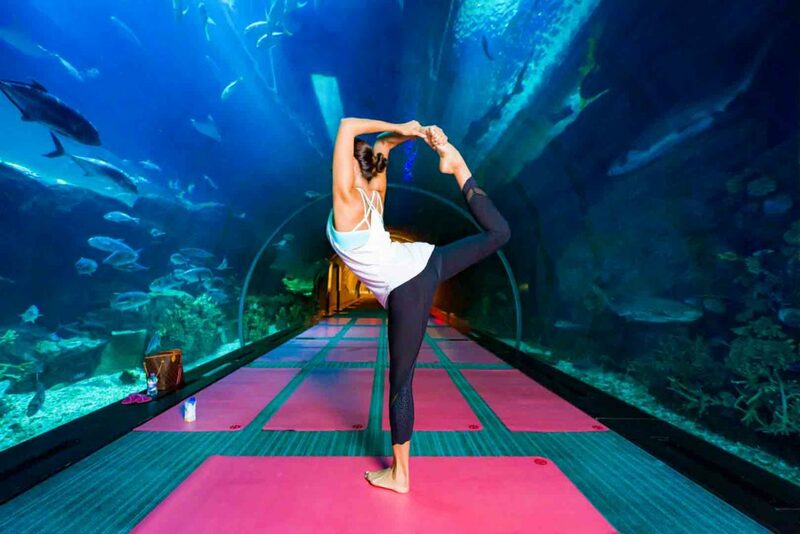 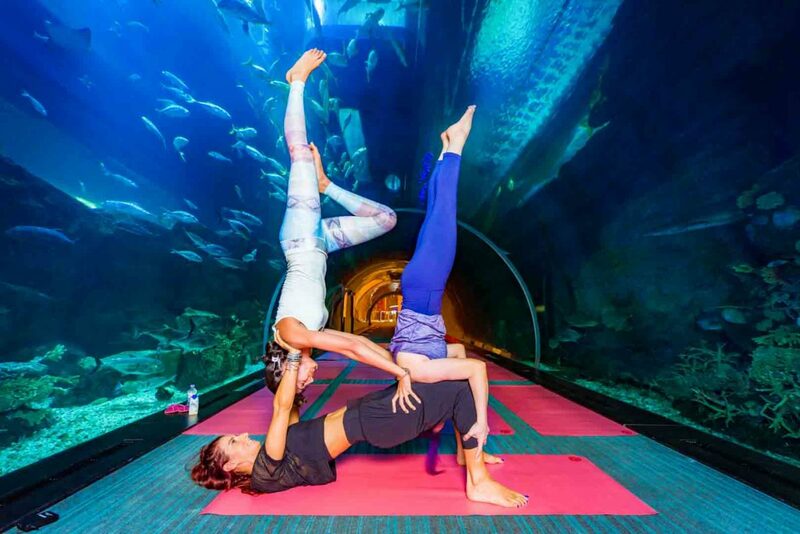 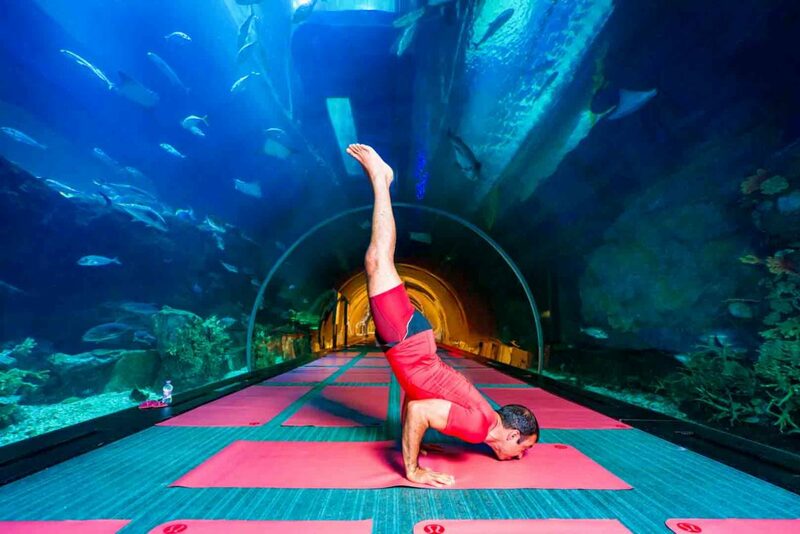 Dubai Aquarium and Underwater Zoo’s ‘Underwater Yoga’ Retreat is exceptional for its remarkable partnerships with Piloga Studio Pilates and Yoga as the main sponsor and supported by Lululemon, Raw Pressery and VitaCoco. 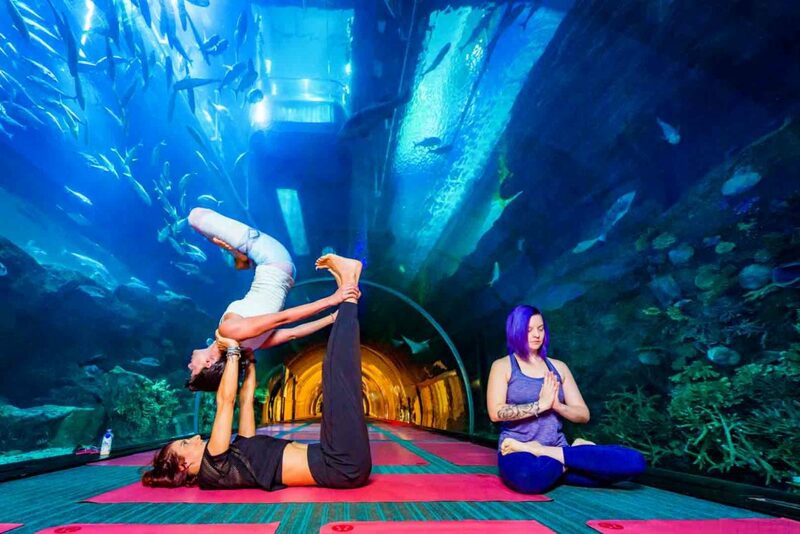 Among the experts leading the retreat are Alison McLaughlin, Melissa Dahlia Ghattas, Omar Sultani and Dina Cassir Kfoury. 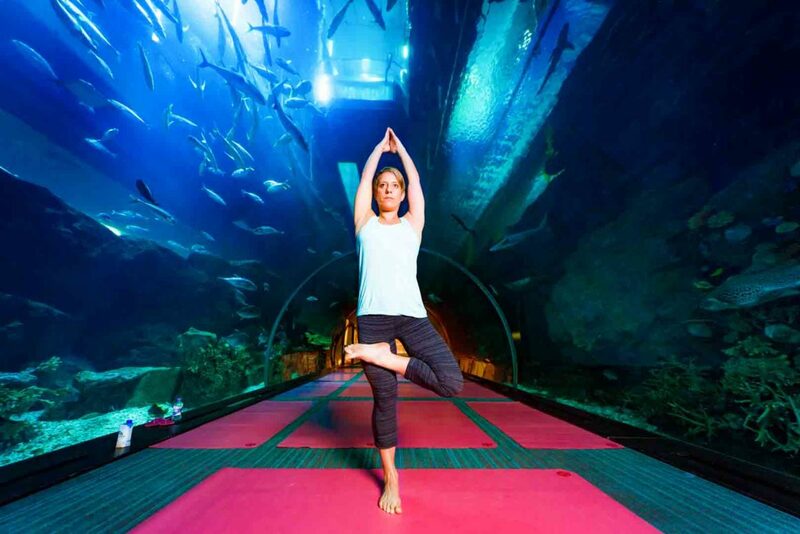 Filed under Advertisiment, Opening, Photography, Project, Sport. 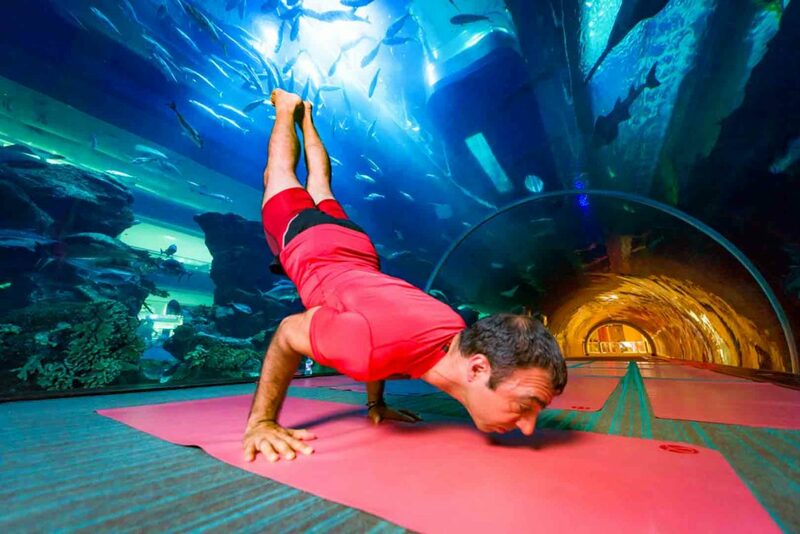 Tagged Dubai Aquarium, Dubai Mall, Emaar, Fish, Photography, Piloga Studio, Soul, Sport, Tunnel, Underwater, Yoga.